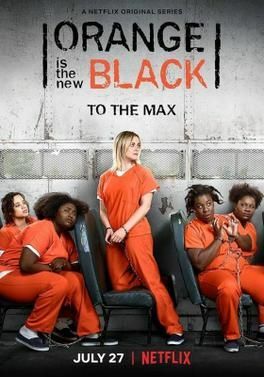 Classifying Orange Is the New Black as a "sitcom" may be stretching it a bit. It's an hour long, and often feels more dramatic than comedic. But in the dog days of summer, it's a little difficult to spot any genuine sitcoms worth discussing. 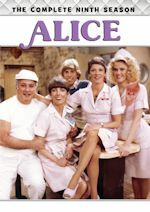 Plus, Orange's balance between comedy and drama is increasingly indicative of the way TV comedy is headed, blending the difference between comedy and drama - after all, shows structured like more traditional sitcoms like One Day at a Time or animated comedies like Bojack Horseman often feel even more dramatic than Orange at times. Genre is becoming increasingly blended, and part of that reality has added to Orange's struggle to keep up its initial quality and interest in its most recent seasons. Orange was initially presented as a somewhat light-hearted look at life in a women's prison that nevertheless took its characters and the situation they were in seriously. The world that it introduced us to was fairly grim, but the characters were lively, fun, and lovable. We liked hanging out at Litchfield, even if we acknowledged that our characters didn't. Still, because we cared about the characters so deeply, the show was able to cover serious topics well - we wanted these characters to do well, and we got frustrated when the prison system treated them with injustice. 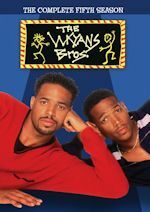 It was a delicate, difficult balance that the show managed to navigate incredibly well in its first three seasons. However, the show took a turn somewhere in season four, a season that was markedly darker than anything the show had attempted before. The season was incredibly grim, shedding a light on issues like the prison industrial complex and showcasing the level of abuse that prisoners may go through. Without spoiling a major plot point, the season ended on an absolutely heartbreaking note - one that wound up being a bit controversial. Whether or not you felt that the season's climax was earned or not, it was clearly a turning point for the series. Since that moment, the show's previous balance has felt off. This is no longer a world we want to spend any time in, and it's gotten to the point where each episode almost feels like we're simply watching characters we love be tortured, as their circumstances somehow get worse and worse. And yet, because the show is presented as a "dramadey", there are still moments of comedy inserted in, which makes the tone feel jumbled. Things are very serious, and yet...the show is still making ill-timed jokes. It's an example of how the blending of tone that shows like to do can be an incredibly difficult balance to make. Frankly, I'm really hoping that the already-ordered seventh season of Orange will be its last. The show's sixth season (released a few weeks ago) had some great moments and was a marked improvement over the incredibly messy fifth season, but it still feels as if the show has lost its sense of what it wants to be, trapped in big, dramatic storylines with seemingly no easy out. Orange was a landmark series for television, but it may be time to for it to gracefully bow out, preserving its legacy before its tone gets even more muddy. A King of the Hill Labor Day Marathon has been added to Comedy Central's line-up on Monday, September 3, 2018 from 7am-4am. The episodes in the marathon will go in order beginning with the Pilot episode. 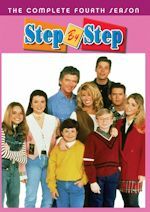 All 12 first season episodes will air, followed by the entire second season (23 episodes) and the first ten episodes of season three. King of the Hill regularly airs in the late nights on Comedy Central, with times varying, sometimes from 12-1:30am. 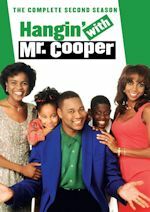 The series started on the network on July 23, as we mentioned. Comedy Central also airs other off-network series such as Scrubs, The Office, That '70s Show, and Futurama. 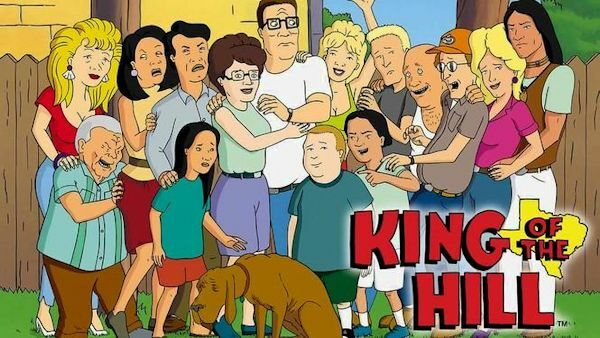 In King of the Hill, which originally aired on Fox from 1997 to 2010, depicts the life and times of Hank Hill, his family and their neighbors in the fictional suburb of Arlen, Texas, the heartland of America. A hard-working, loyal family man and proud Texan, Hank is assistant manager of Strickland Propane. He's an average Joe who sees himself as the voice of common sense and reason in a world of incompetent sales clerks, meddling bureaucrats and do-good liberals. Created by Mike Judge and Greg Daniels, King of the Hill is executive produced by Judge, Daniels, Howard Klein, Michael Rotenberg, John Altschuler and Dave Krinsky.